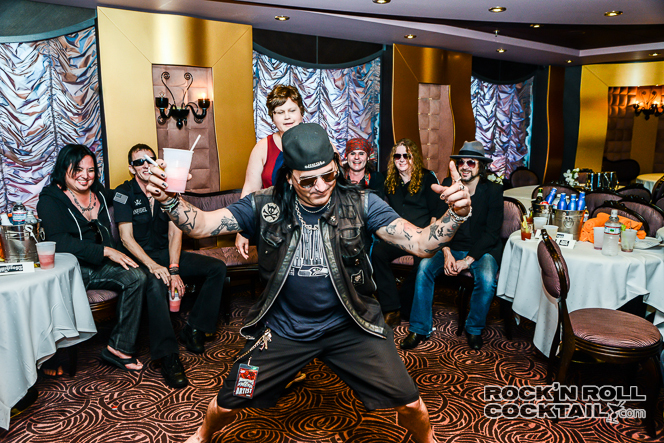 Taime Downe strikes a pose during the meet and greet with London Quireboys and fans. 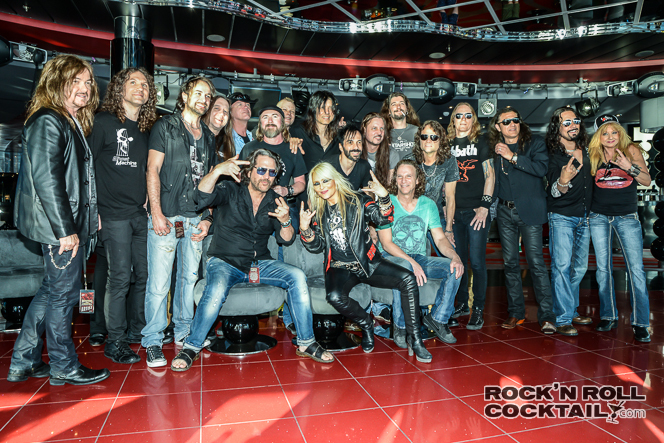 The Monsters of Rock Cruise 2014 was epic in every way possible. In case you missed my previous posts you can check them out here as I reveal the top live music moments and the top 10 epic guitar god moments. I wanted to take it a step back and show sort of a behind the scenes type of view while continuing to share some of the incredible photos I was able to capture. What was it really like to walk around on the boat with a professional camera in hand? I think these 15 photos paint a pretty good picture of what this once in a lifetime experience is truly like. Luc Carl takes a moment during the London Quireboys Q&A. 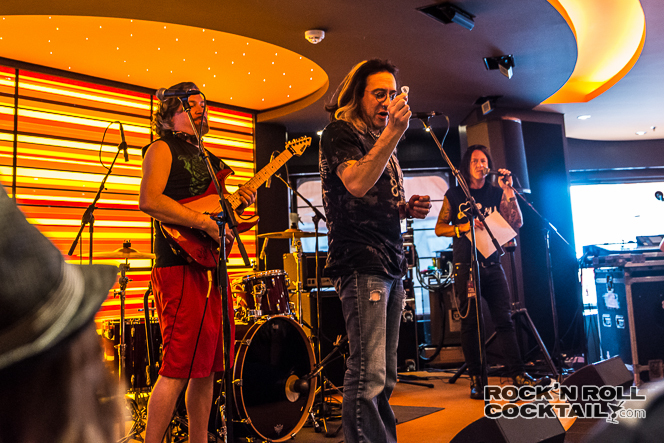 Cinderella’s Jeff LeBar offers his guitar pick at the So You Think You Can Shred competition. Group Photo with Charm City Devils, Autograph, and Killer Dwarfs. 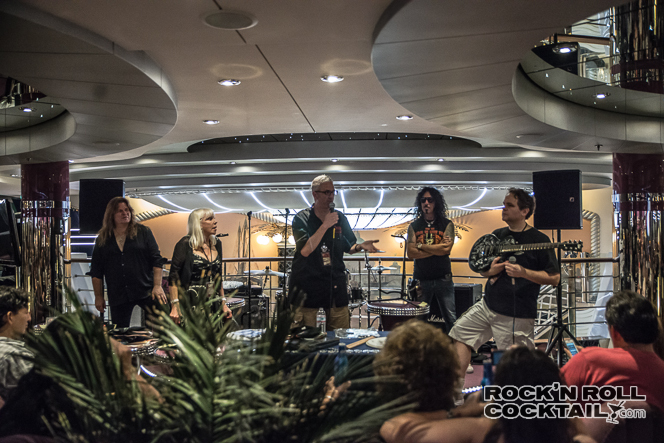 The London Quireboys getting personal during the audience Q&A, one of the coolest things about the cruise was being able to ask them questions. 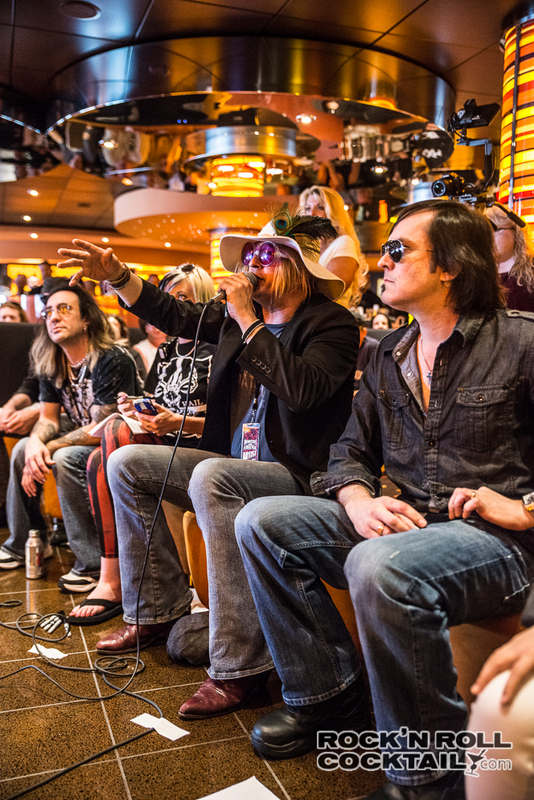 All star judging panel for So You Think You Can Shred: Chip Znuff gives his feedback alongside Jeff LeBar and Mark Kendall. Some folks got married on the cruise. 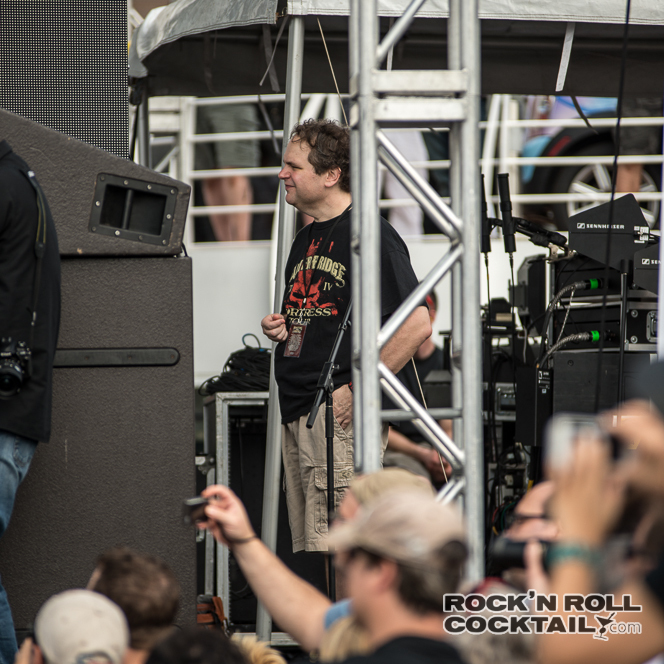 So I’m not one for taking photos of folks when they are not looking, but this is Eddie Trunk on the side of the stage during Loudness. He kept looking back saying how incredible the band was live and it was such a cool moment. 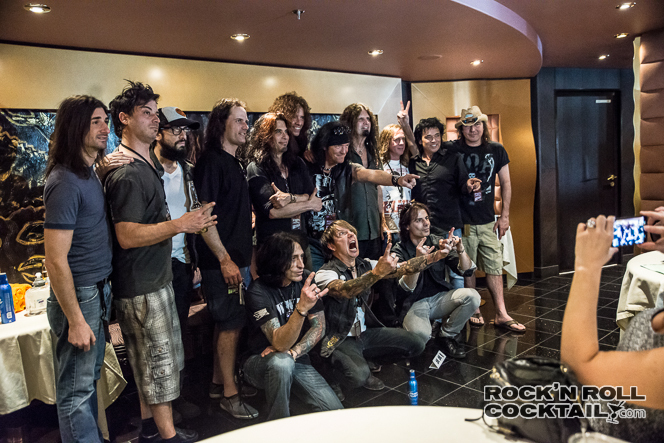 Group photo with Faster Pussycat, The London Quireboys, The Iron Maidens, Firehouse and Mike Tramp of White Lion. 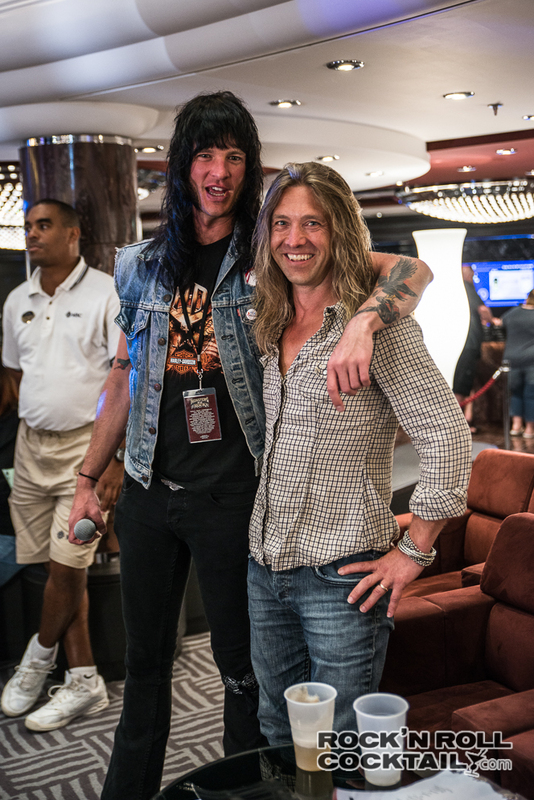 Quiet Riot’s Jizzy Pearl and Alex Grossi hanging out. 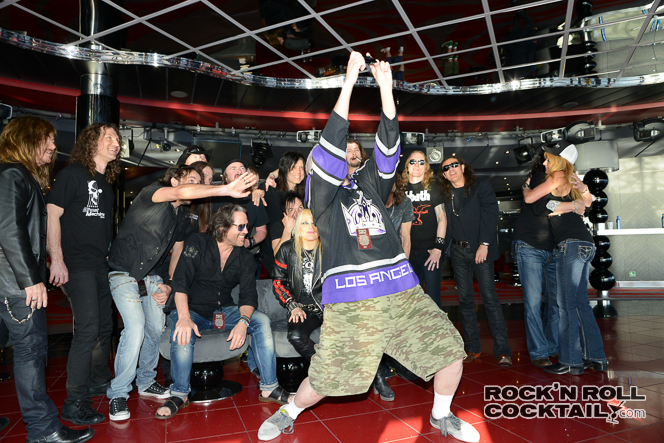 Dean Schachtel taking an epic selfie with Dangerous Toys, Carl Palmer, Winger,and Doro. 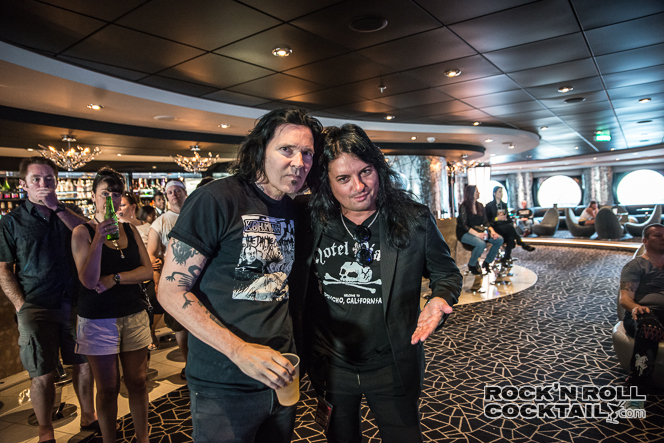 Mark Kendall was indeed on the cruise. 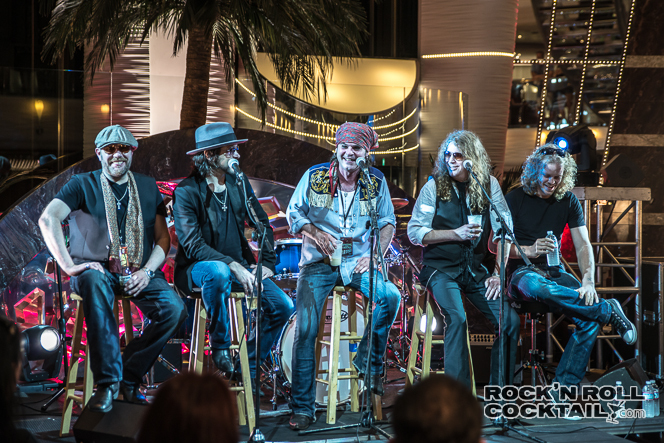 Great White was one of the top acts this year. Mark is on the other side of Chip, you can’t see him very well but he was on the panel and that’s who I was referring to. I just wanted to say that was a fantastic blog! That person between Chip and Jeff is Katie, one of our production folks, not Mark. 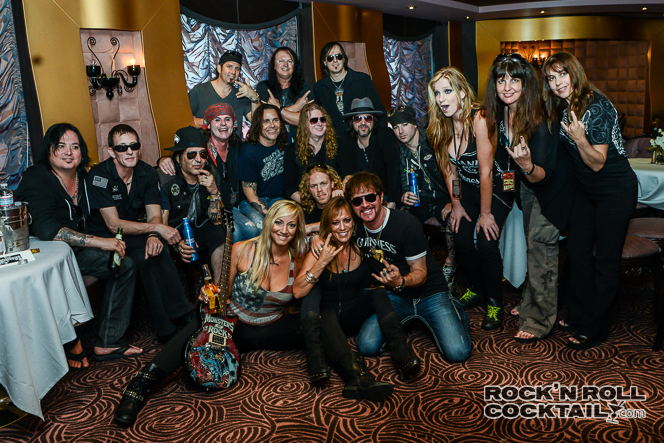 Got it, but on the right hand side of Jeff is Mark from Great White. He was one of the judges that day. You can barely see his hat and glasses but that’s definitely Mark.